Republican Senate candidate Kevin Cramer of North Dakota is seeking to clarify comments he made about a sexual assault accusation against Supreme Court nominee Brett Kavanaugh. Cramer said during a Friday radio interview that the Kavanaugh accusation is “even more absurd” than Anita Hill’s 1991 sexual harassment allegation against Clarence Thomas because Kavanaugh and his accuser were teenagers. He issued a statement Saturday saying he wasn’t implying that sexual assault is less serious when committed by teenagers. Cramer says the point of his answer was that the current allegation was “even more absurd” during a question about the accusations against Thomas and Kavanaugh. Cramer says it’s difficult not to be skeptical due to the history and timing of the accusation against Kavanaugh, but that any such allegation “should be taken seriously.” But he says absent major evidence brought forward immediately, the confirmation process should move forward. Cramer is challenging Sen. Heidi Heitkamp, among the most vulnerable Democrats seeking re-election. 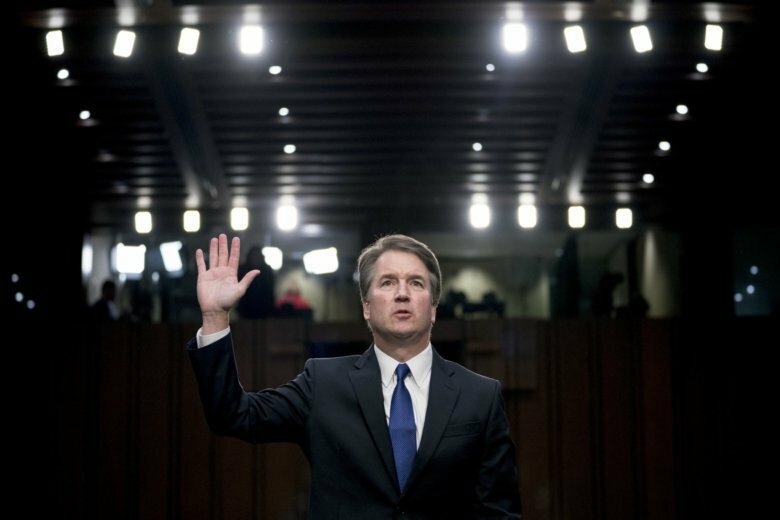 North Dakota Republican Senate candidate Kevin Cramer says a sexual assault accusation against Supreme Court nominee Brett Kavanaugh is “even more absurd” than Anita Hill’s 1991 sexual harassment allegation against Clarence Thomas. Cramer says that’s because unlike Hill and Thomas, Kavanaugh and his accuser were teenagers who “evidently were drunk” when the alleged assault occurred at a high school party. Cramer, a U.S. representative, made the comments to a North Dakota radio station Friday, saying the incident was “supposedly an attempt or something that never went anywhere,” according to a recording published by Talking Points Memo. Christine Blasey Ford says Kavanaugh sexually assaulted her in the 1980s. Kavanaugh denies it. Cramer is challenging Sen. Heidi Heitkamp, among the most vulnerable Democrats seeking re-election. Cramer’s campaign didn’t immediately return a telephone message. Heitkamp says Cramer’s comments are “disturbing” and don’t reflect North Dakota’s values. Hill, who had worked for Thomas, accused Thomas of sexual harassment during his 1991 Supreme Court confirmation hearings. Thomas denied it and was confirmed.